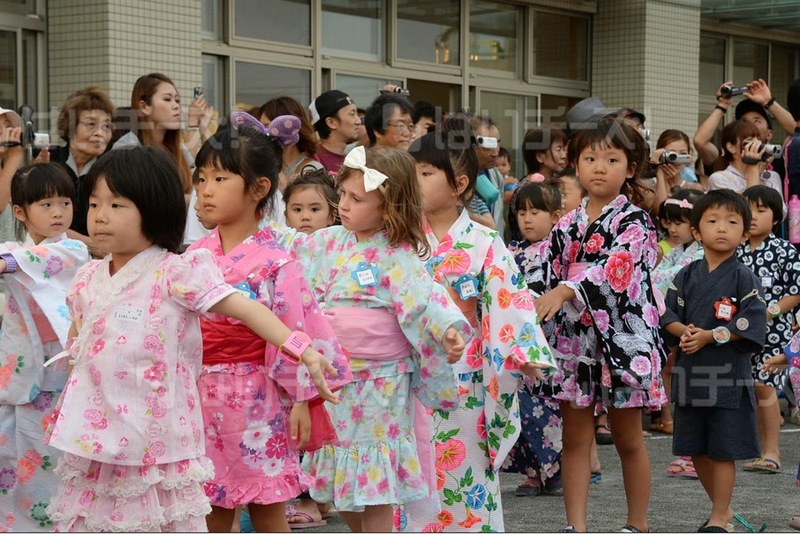 One of the many reasons we enrolled EJ in a Japanese yochien was to give her the opportunity to be a part of the Japanese culture. 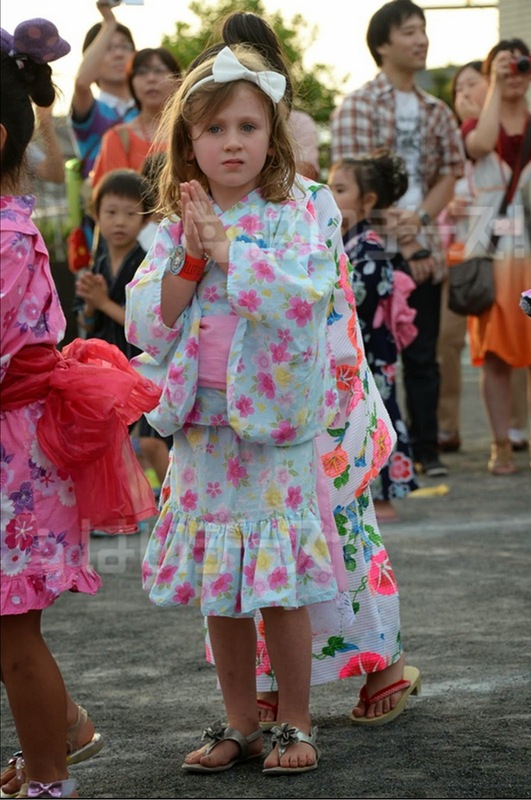 Bon Odori is the first major festival she got to celebrate at school. 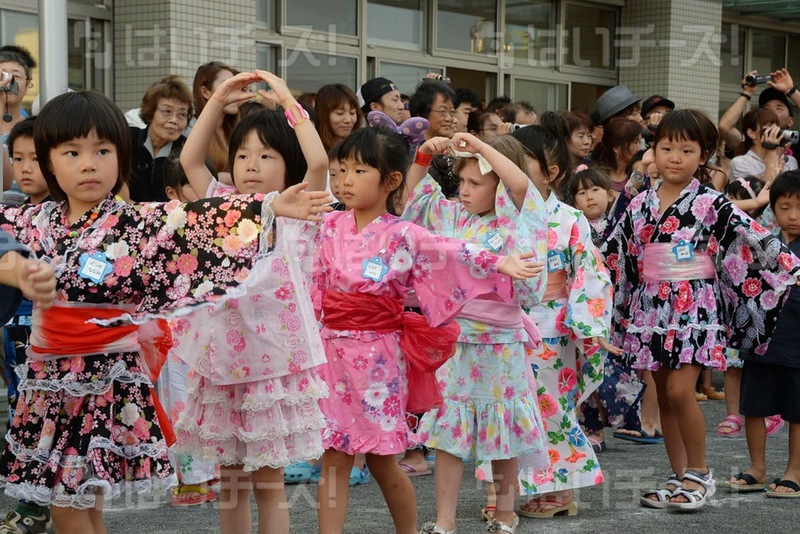 The kids decorated, danced, and sang in preparation for the big event. 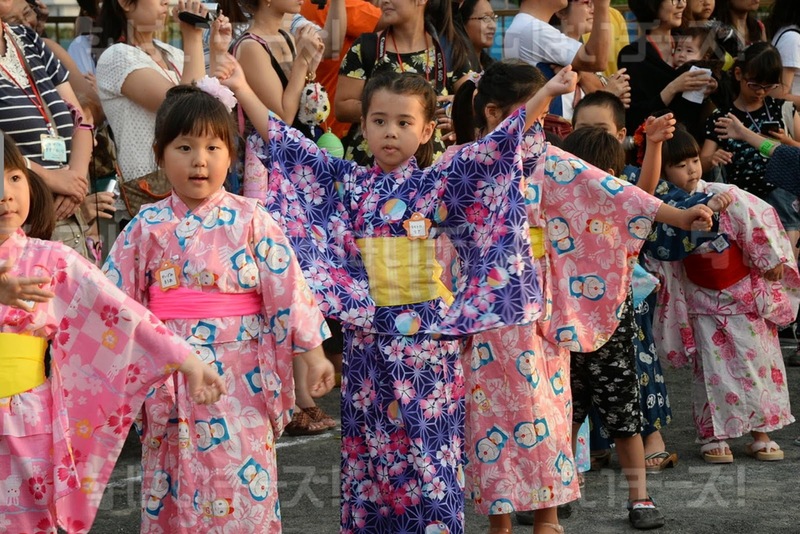 Bon Odori not only a part of the Obon holiday, but marks the beginning of the month long summer vacation. 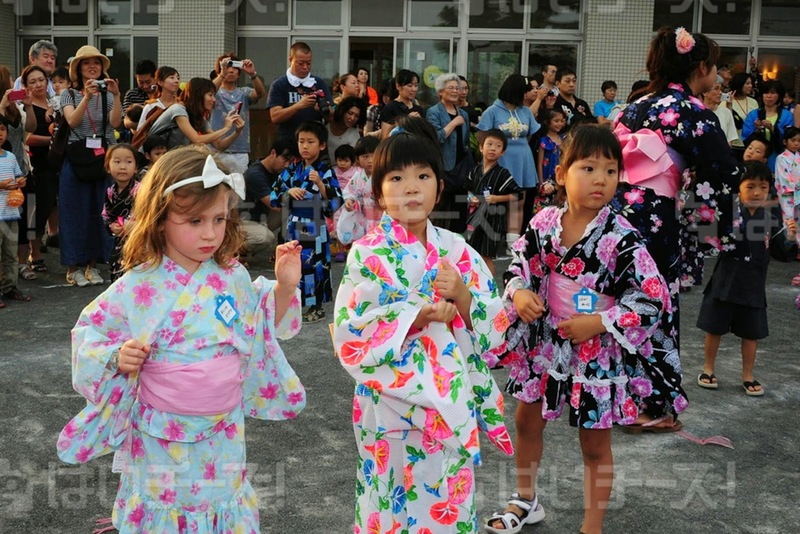 The kids dress in their finest summer yukatas. DaddyO made it back to Japan just in time to join us. 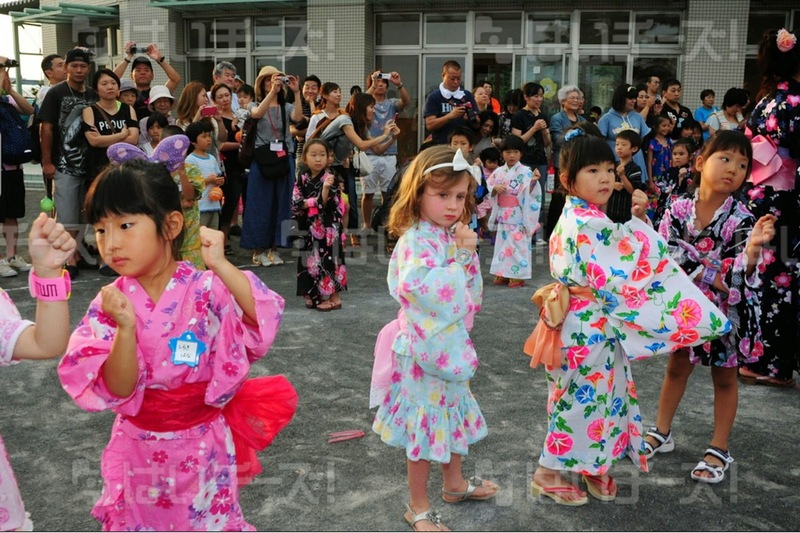 The classes gathered in the school yard to kick off the festival. 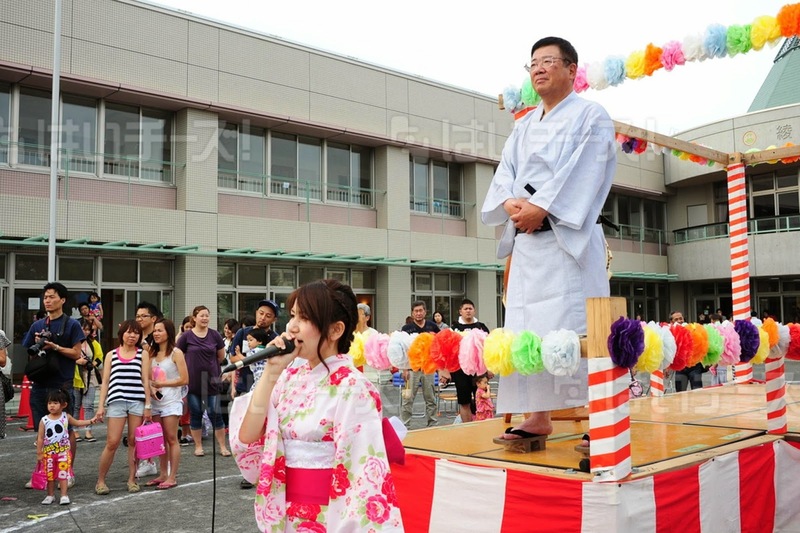 The principal addressed them and gave what I imagine was a summer vacation speech. 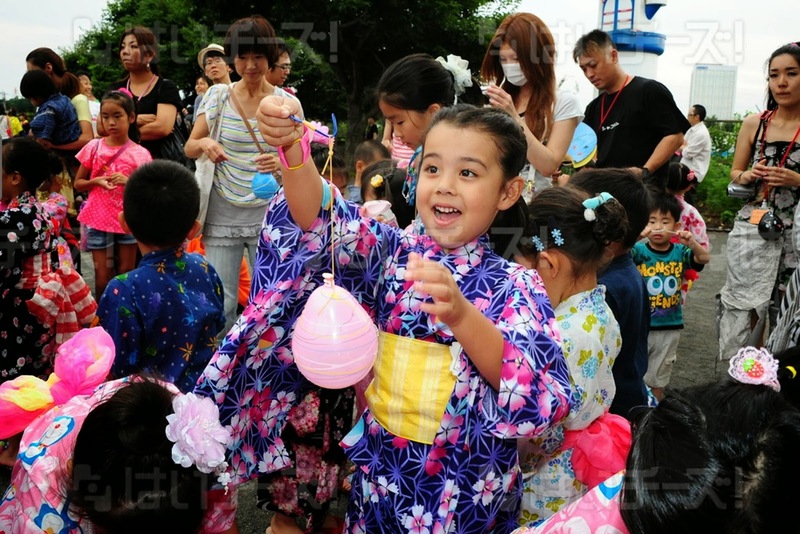 Then everyone a sang a hello to summer and went on to play the carnival style games. EJ was beaming as she stood in line. 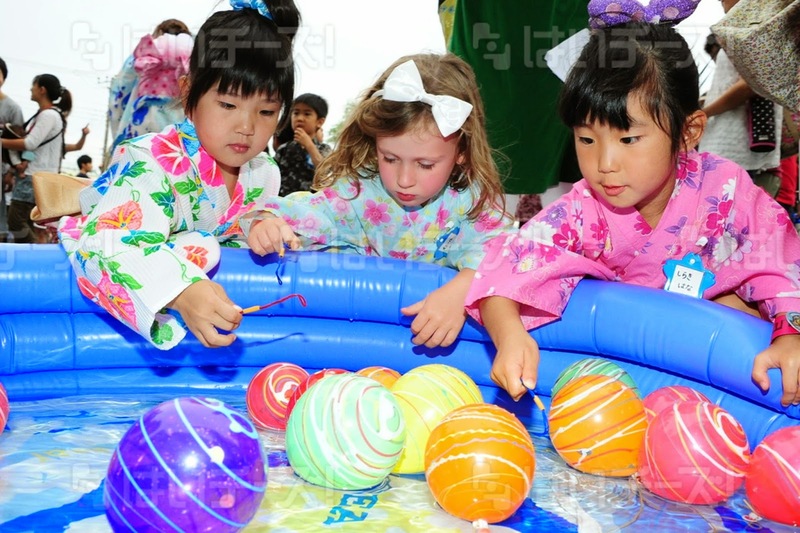 There were throwing games, fishing games, and balloon capturing games. The prizes were all made by the PTA. CJ hung out with the older brother under the playground equipment for a little. He loved the seeing the pincher beetles they carried around as well as watching them play their gameboys. There was enough color and commotion to keep Baby B's attention. 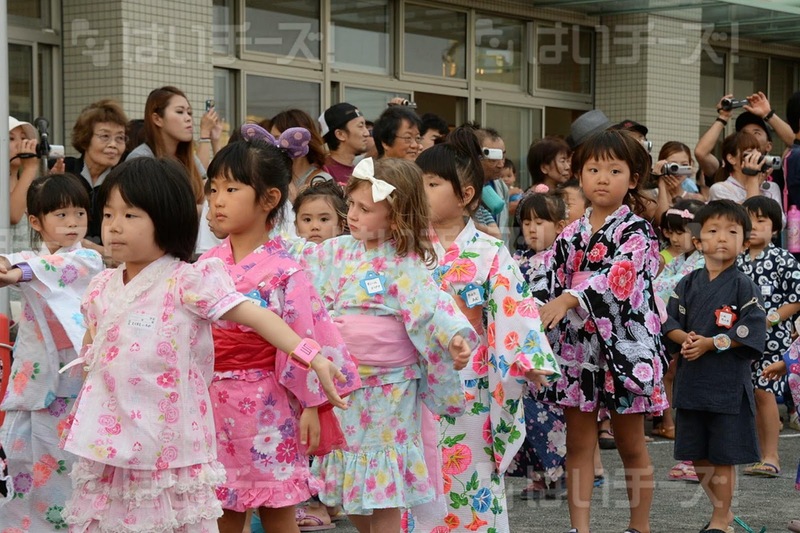 The festival ended with the Bon Odori dance. They formed three circles around the taiko drum stage. Then danced their way around. They danced together through three songs, each one with it's own dance steps. The kids finished with their arms held high. 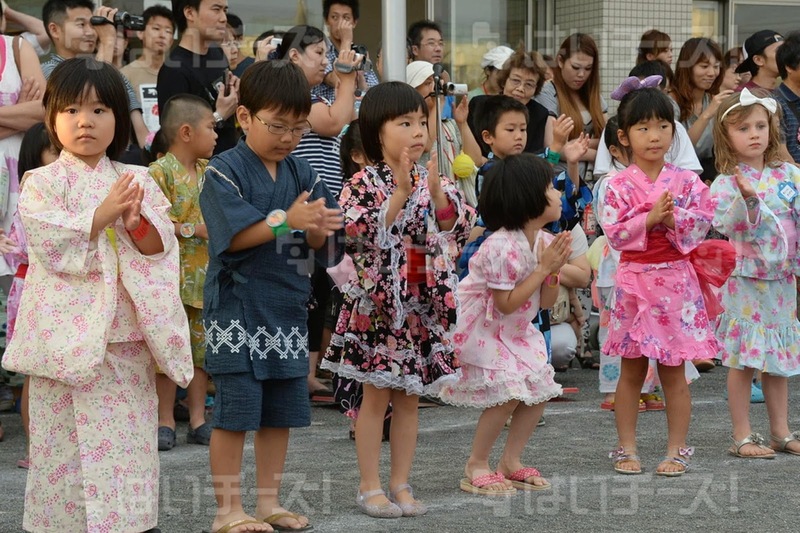 The squatted down to receive their Bon Odori bags filled with fire crackers and a fan. EJ still breaks into a dance any time she hears one of the dances.